Crystal and pearly bead trim at hinges. 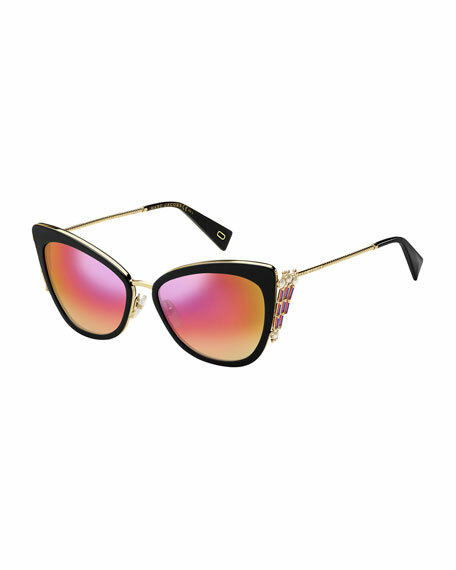 Balenciaga semi-rimless cat-eye sunglasses in acetate. Eye/bridge/temple (in mm): 99-10-145. Mirrored, shield lens. Logo detail at nose bridge. Tapered arms.